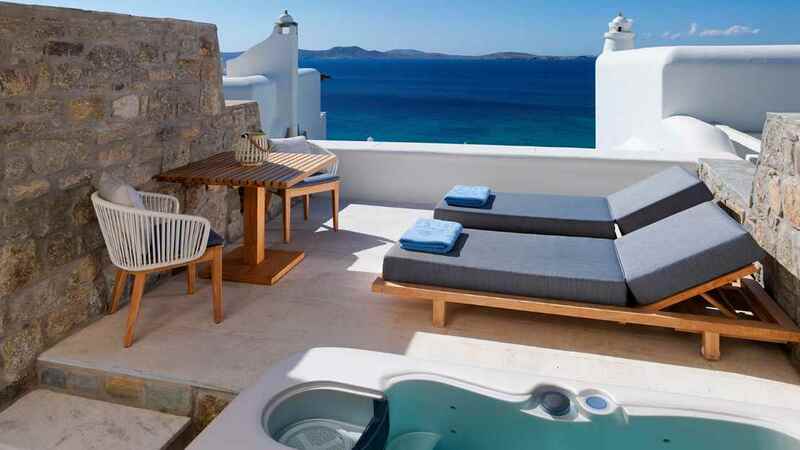 Experience pure beach bliss stretched out on sun-drenched shores, with a stay at the 5-star Mykonos Grand Hotel and Resort. 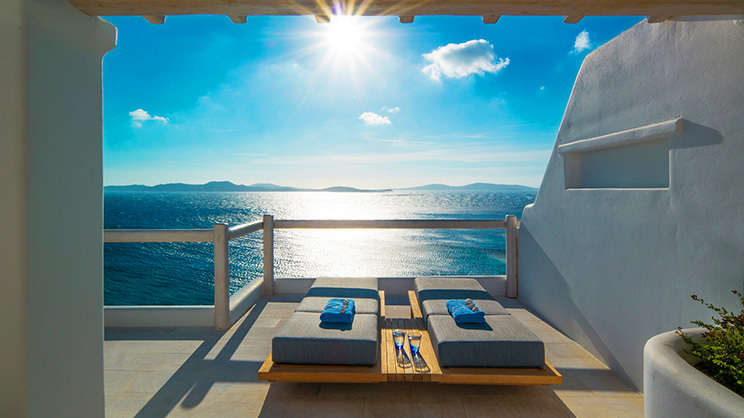 Sitting beside soft golden sand and azure waters, this haven of tranquillity is a perfect choice for romance, adventure or sophisticated relaxation. 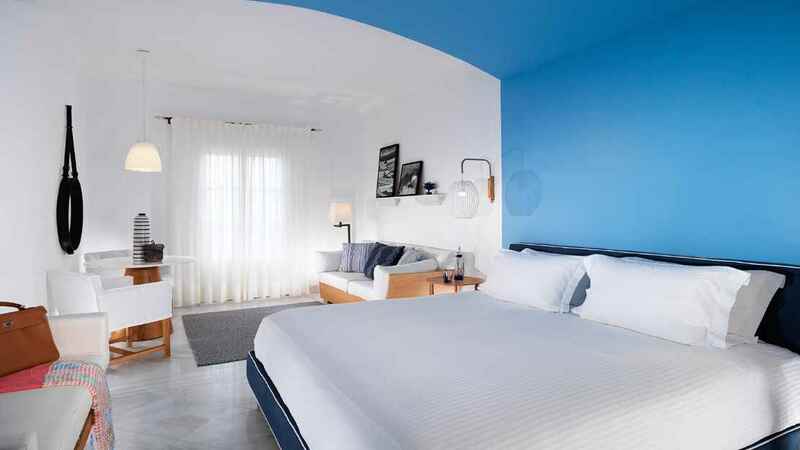 When not taking advantage of the luxury accommodation, superb facilities or exquisite dining offerings on offer at the Mykonos Grand Hotel, the wonderful island of Mykonos has an array of delightful sights and scenery waiting to be discovered during a magical Greece holiday. 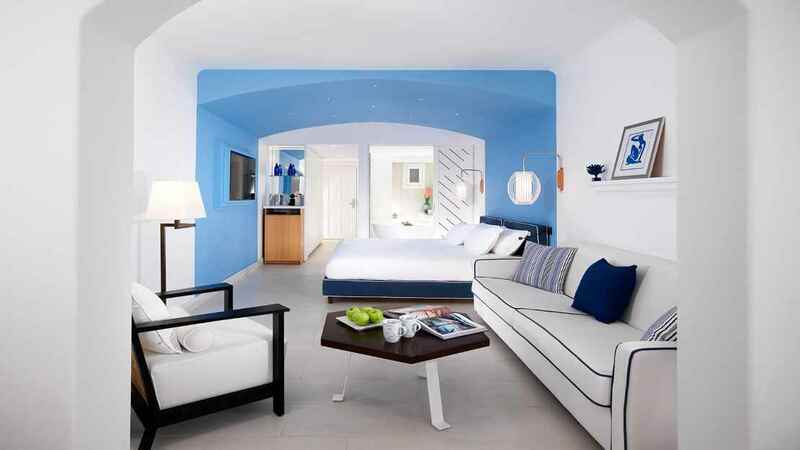 The Mykonos Grand Hotel and Resort is located next to the beach. 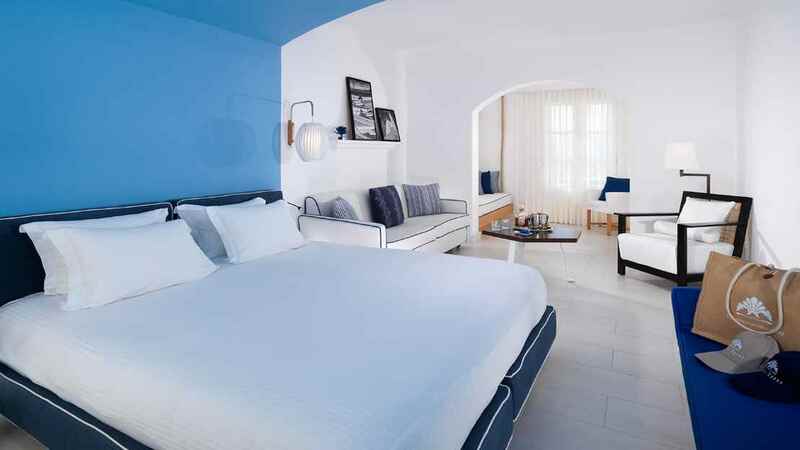 The Mykonos Grand Hotel and Resort enjoys a peaceful location with a small number of restaurants close by. 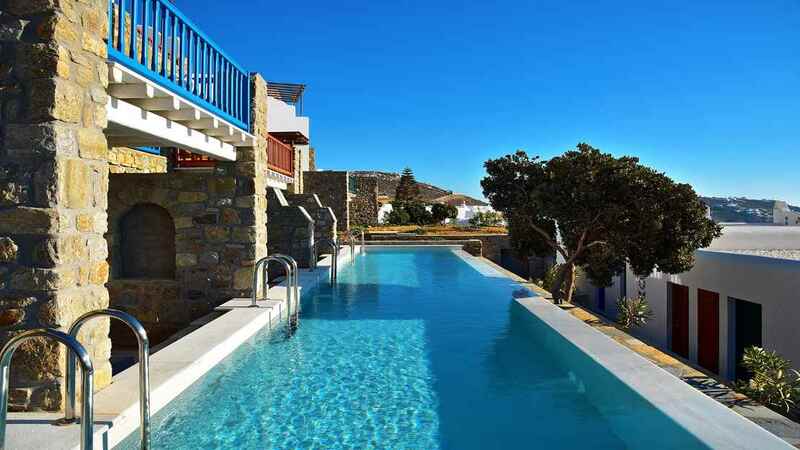 Mykonos International Airport is approximately 5km away from the Mykonos Grand Hotel and Resort.